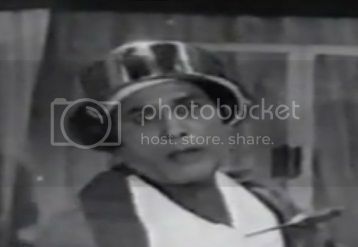 In cinematic world of Pakistan, Khalifa Nazir is one of the comedians who had very natural style of acting performance. In the presence of Munawar Zarif, Rangeela he managed to prove his worth especially in Punjabi films. Subsequently who proved himself as successful film director, actor, producer, distributor and gave superb films under his film production house which hit the box office at their times. Khalifa Nazir with his all-out efforts for up keep of film industry and his services in this regard will be written in golden words in the history of Pakistan Filmdom, especially his untiring efforts for the imposition of Copyright act in Pakistan and declaration of Pakistan cinematic world as one of industry of Pakistan. Mukhra Chan Warga, Shado, Daaj Te Rawaj, Chan Tara, Ucha Naa Piyar Da, Rajjo, Roti, Diya Aur Toofan, Mastana Mahi, Doulat Aur Duniya, Jind Jan, Anwara, Asghara, Puttar Da piyar, Bau Jee and Maa Puttar. For details of his films go to his filmography. Khalifa Nazir was also co-producer of Chalti Ka Naam Gari and during his last days he was busy in producing Bas Mere Hi Rehna. After the success of Rangeela as film producer, director and actor and huge business at box office of films in which Munawar Zarif appeared in lead role like Jeera Blade, Banarsi Thug etc. 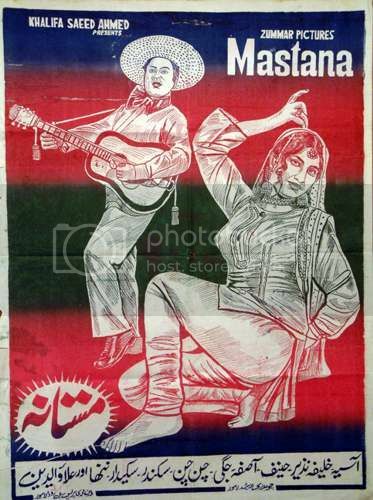 so impressed by the prevailing environment Khalifa Nazir also produced an Urdu film Mastana and appeared as lead role paired with Aasiya. Basically he gave a try to himself and wanted to know his worth in lead role as one of the song of Mastana reveals his ultimate desire which was picturized on him “Koi mujh ko bhi hero bana de, to ho ga bara naam”. 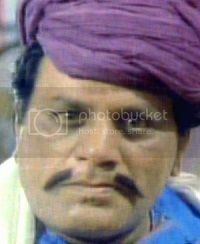 But unfortunately he was unable sustained a place in the lead line specially versatility of Munawar Zarif and Rangeela. Khalifa Nazir had a high place as film related circle and had good liaison with concerned Government Officials so almost throughout his life and career he lead Pak film industry politics. Whenever there was some issue related to film industry we can see conveniently Khalifa Nazir in front row of film base constituted movement. He remained very keen about the uplift, development and progress of Pak filmdom and used his all energies for its betterment. 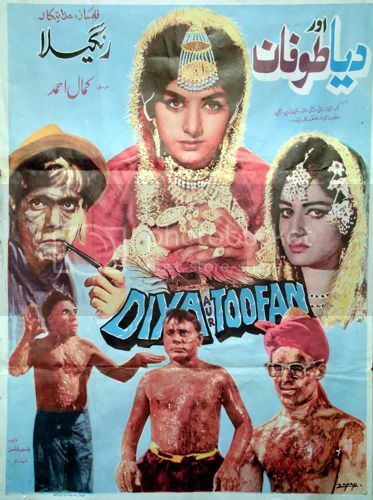 How can we forget his effort for declaring Pak Cinematic as one of the industries and Film Copyright movement. Any delegation formulated to discuss film based issues with high government officials, Khalifa Nazir used to be the compulsory member. But in-spite of his rich services for film industry he never contest any election for any rank and appointment in any of the film field politics like Film Producers Association or Distribution Associations etc. Khalifa Nazir married in his family circle and was blessed with three sons and daughters each. 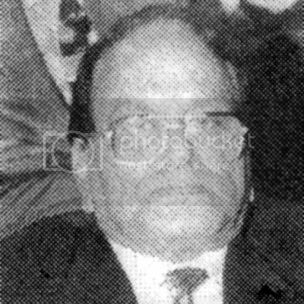 Although none of his siblings followed his footsteps but all of his four brothers were involved in film production which includes Khalifa Saeed Ahmed, Khalifa Sarwar Ahmed, Khalifa Khursheed Ahmed and Khalifa Rasheed Ahmed. Amongst them, Khalifa Saeed Ahmed was a renowned and successful film director and producer. Afterward Zumur Pictures also introduced Akbar the son of Khalifa Saeed Ahmed who also gave good films like Ghulam, Rawal etc. During the last years of his life Khalifa Nazir developed heart ailment he was under its continuous treatment. On April 26, 2005 he suffered very serious cardiac arrest which turned into heart attack and became cause of demise of this great comedian on same day at the age of 61. News of his death was published in leading newspapers of Pakistan. His funeral prayers were offered on that evening and was buried at Lahore.